Have hours of fun with our selection of games and activities for toddlers perfect for 1-3 year olds and preschoolers! Listed below are just a few of the games in our toddlers section. Click here for more great toddler ideas. When looking for age-appropriate games, it's helpful to understand where your child is in the stages of child development. Since all kids vary in their rate of development, most toddlers also love activities targeted at a slightly younger or older audience. You might want to look at our baby games and free preschool games. Fill up a large container with rice or sand. Pretend you are going on a treasure hunt. Bury different items that the toddler can dig out with her hands or with a spoon. As she finds each item, she can place it in a bucket or other container until all of the treasures have been found. Give her a chance to help bury the treasure. Kids of all ages love obstacle courses, and the great thing about them is you can make an obstacle course out of anything. You can also build a course indoors or out. To build a course indoors, make a course that allows the child to climb over, walk on, go around, crawl under, etc. Crawl under a table, jump over a book, walk on top of a tape line, climb over a couch, crawl through a tunnel made out of a sheet draped over some furniture, walk across some pillows, etc. Outside have toddler jump off of a brick, jump over a stick, run around some flower pots, climb a playground ladder, slide down the slide, etc. 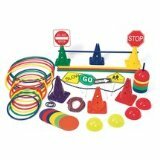 Play Follow-the-Leader through the obstacle course. Pretend to chase your toddler through the course or let him chase you. You need a small/medium-size exercise ball or beach ball to do these fun toddlers games. Have toddler lie across the ball on his stomach and roll the ball around. Roll him forward until his hands touch the ground and then backward until his feet touch the ground. See if he can hold his arms out like Superman and pretend he's flying. Stand next to the ball and the two of you beat on the ball as fast as you can with your hands. Sit toddler on top of the ball and let him try to keep is balance while you rock it in different directions. If you have a soft landing place, you can let him topple over onto the floor from time to time. 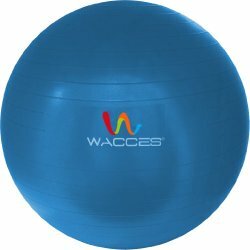 Roll the ball back and forth to each other while sitting and standing. Have him pick the ball up and throw it back to you with two hands. Help him lift it above his head and throw it. Show him how to run while pushing the ball in front of him. Set up little targets for him to roll the ball over. Have him lie on the floor and roll the ball over the top of him. Let him roll the ball over you. Roll the ball and let him chase after it. Have him kick the ball from a stationary position and while rolling it to him. Roll it to the side of him so he has to move to get it. Roll the ball toward him and help him dodge it. Spread a large blanket or sheet out on the floor and use it for a variety of fun toddlers activities. Have toddler lie on one side of the blanket and roll her up like a burrito. When she is completely rolled up, grab one end and unroll her. If you have another adult with you, you can make a taco by folding up your toddler in the center of the blanket while you hold 2 corners and your partner holds the other 2 corners. You can also swing your toddler back and forth while in this position. Have toddler lie on her tummy or sit in the center and pretend she's on a magic carpet. Pull the blanket along the floor so she can "fly" around. 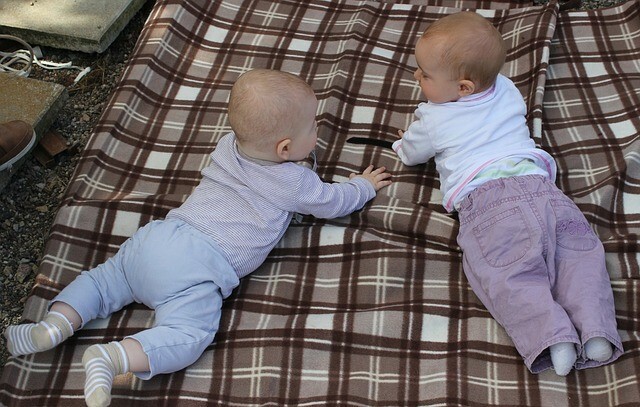 With child lying on the blanket, pull the blanket while you spin around. While she's sitting in the center, shake the blanket up and down like waves and have her try to keep her balance. Step onto the blanket like it's an elevator and pretend to go up and down to different floors – get off on the "flying floor" and fly around the room. Get back on the elevator and go up to the "lion floor" where everyone has to act like a lion, etc. 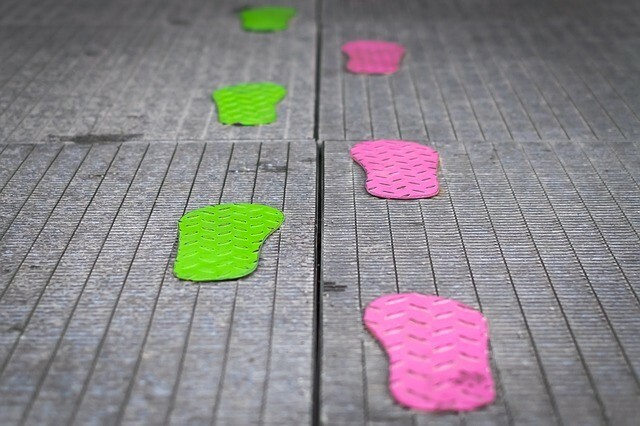 Using sidewalk chalk, tape, string, or ribbon make a long and winding trail on the ground. Have your child walk along the trail without falling off. Use your imagination - Pretend he is high up in the air or traveling over hot lava or an alligator pit. You can even pretend to be a monster that will get him if he steps off. 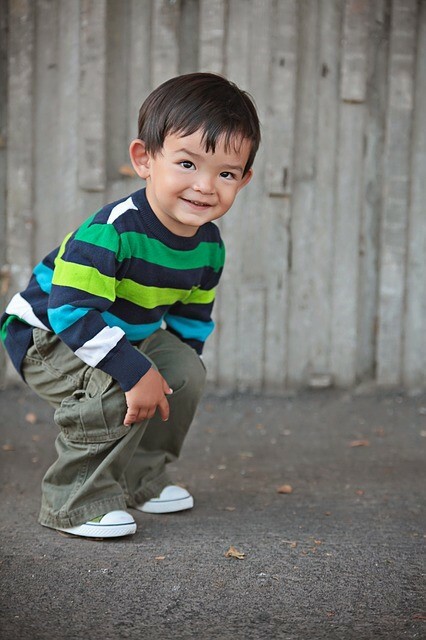 Have him go across the trail using different movements – running, sliding, jumping, tiptoeing, backwards, or hopping. Place treasures along the trail for him to pick up. Pretend to chase him along the trail. Set up little activity stations along the trail - block stacking station, ball rolling station, bubble blowing station, etc. 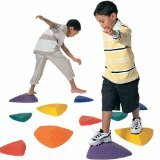 Place obstacles along the trail for him to crawl over, jump off of, go around, and crawl under. Visit WonderBaby for some wonderful activities for toddlers who are visually impaired.